Editor’s note: Five years ago, this paper explored recent climate shifts in a set of reports titled “Vermont’s Changing Seasons.” This story is part of a monthly series of updates by Staff Writer: Kevin O'Connor. Dr. Alan Betts knows you’ll probably skip this story on his study of Vermont climate change if he waxes scientifically about his nearly half-century of scholarship on meteorology and theoretical physics. That’s why he’s instead serving up weather-defying kale from his Pittsford garden. When the 66-year-old atmospheric researcher moved to the state in the late 1970s, he wouldn’t leave any fruit or vegetable outside during winter. Instead, he harvested everything before frost took a bite each fall. 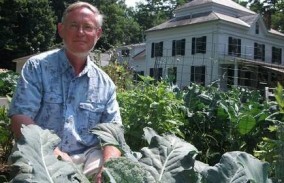 Log on to Betts’ website, alanbetts.com, and you’ll find his public talks, newspaper columns and radio commentaries report what farmers and gardeners confirm throughout Vermont: Global warming is sprouting the unexpected benefit of stretching the state’s growing season and ability to seed new crops. Dig a little deeper and you’ll also discover why the state’s leading climate scientist worries such advancements could — as now witnessed in the rest of the nation — either drown or dry up. Betts’ interest in climate first blossomed in his native England, where he studied science at the University of Cambridge and earned a doctorate in meteorology from Imperial College in London. Moving to the United States in 1970, he worked at Colorado State University before relocating to Vermont — first to West Pawlet, then Weybridge, then his white clapboard Victorian home in Pittsford in 1992. To put down roots, he picked up a shovel and started a garden. Breaking ground back then, Betts wouldn’t begin working the soil before the third week of April nor plant until nearly Memorial Day. But with carbon dioxide and other greenhouse gases filling up the atmosphere and forcing shifts in weather patterns, spring is arriving sooner. The scientist points to the annual date of “ground melt,” which has advanced in his lifetime an average of some three days per decade. Five years ago, Betts thought he was making history by seeding his first frost-hardy salad greens on April Fools’ Day and peas the same time everyone else filed their income taxes. But this seeming Year Without a Winter, he planted a full month earlier: lettuce and spinach on March 1 and peas by March 15. Spring’s second transition point, “leaf-out,” is also leaping forward — but only about half as fast as ground melt, the researcher says. That means although he’s starting his garden in March, he’s holding off planting frost-sensitive tomatoes, basil and squash until May — albeit at the beginning of the month rather than on Memorial Day. Betts is reaping bumper crops. He has harvested lettuce, spinach and peas since May — a full month earlier than in 2007. His garlic now busts out in June rather than July. (Good thing: more heat means less cold in his garage to preserve last year’s crop.) Now pulling potatoes, he’ll cap the summer picking tomatoes and squash and the fall plucking brussels sprouts. Betts’ salad days end with the first frost. When he moved to Vermont in the 1970s, he would shiver in the middle of September. But in recent years, he hasn’t felt the chill until as late as the end of October. 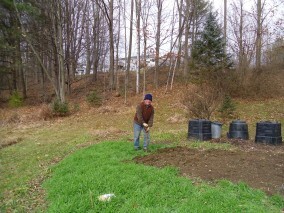 Likewise, Betts used to dig up his garden before the cold burrowed down. Now he tucks his more hearty crops in to see what springs up over the winter. Betts’ personal observations are confirmed by plant hardiness zone maps used by Vermont’s $4 billion a year farming sector. The official U.S. Department of Agriculture map in place since 1990 labeled the Northeast Kingdom as zone 3 (with annual lows of -40 to -30 degrees), the bulk of the state as zone 4 (with lows of -30 to -20) and the southern tip as zone 5 (with lows of -20 to -10). This year, however, the newly revised map shows the lows have grown higher. Vermont has lost almost all its colder zone 3 up north, while nearly the entire southern half of the state and its western Champlain valley now sits in the warmer zone 5. No Vermont community has recorded temperatures that would move it into the more temperate zone 6. But the eastern half of Massachusetts has heated enough to shift from zone 5 to zone 6, and researchers predict that with continued global warming, southern Vermont may soon follow. Fruit farmers are experimenting with peach trees amid their apple orchards and berry bushes. Yet for all the green thumbs up, Betts sees a downside: Scientists project average Vermont temperatures could rise as much as 10 degrees by the end of the century, but they can’t as easily predict future precipitation that’s critical to crops. Betts is concerned rain will be less evenly distributed and instead fall into periods of flooding downpours or droughts that could harm farmers not only of fruit and vegetables but also livestock ($1.2 billion in annual state farm revenue comes from dairy cows that require silage and hay). The researcher points to the two most recent winters — the snowy 2011 and sultry 2012 — as an example of such ups and downs. So what’s a scientist to do? Betts is offering regular reports, talks and commentaries in this newspaper and on Vermont Public Radio outlining the causes of global warming — he starts with heat-trapping greenhouse gases emitted by the burning of fossil fuels — and how people can respond. Betts is working to model not only the situation through his backyard but also solutions around his home and garage, be it his double-paned windows, improved insulation, air and water heating system that saves energy and money or Toyota Prius hybrid car that gets 50 miles per gallon. Which brings him back to his garden. It takes time to plant, water and weed, he says. But what he does today determines what he reaps tomorrow. “Earth scientists face a profound ethical challenge. Humanity is an integral part of the Earth’s ecosystem, but the waste from our industrial society is now driving rapid global climate change. What is our responsibility as a community of scientists? Is it simply to follow tradition and explore and discuss in our own world, largely isolated from the broader community, the many interesting facets and complexities of the transformation of the Earth’s climate system and then to publish our results in our private jargon in copyrighted journals that are not freely available to the public that is funding us?